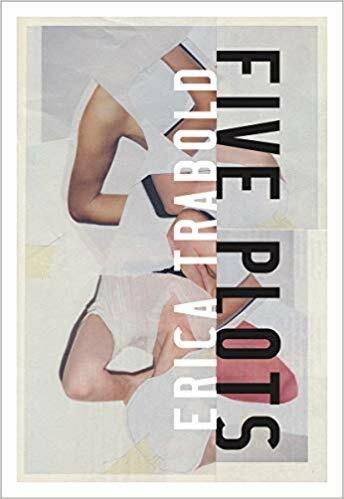 “I assume I have always been attracted to the mysterious…” begins the first essay in Erica Trabold’s Five Plots. She is standing in a cave in New Mexico. The cave is dark, and its depths announce an intention for the book. We are going to look into the unknown, to adventure somewhere foreign. What comes as a surprise in this tightly affective collection is that Trabold’s mystery is derived not from forays into unknown places, but from going into a wholly familiar one—her childhood in Nebraska. Whether looking at herself, her family and friends, or the landscape of the Midwest, Trabold uses these essays to ask how we can reconcile familiarity with a place with the mysterious and destabilizing feelings of being far from home, even when we are in it. Perhaps this is the struggle for all of those who write about the middle of the country: how to render the strangeness of a place we think we know. Just the term “heartland” likely conjures a certain image for many of us, before devolving into the shorthand vocabulary often employed by those who would seek to point to its shortcomings: flat, wide, white, big sky, Republican, etc. Lately that vocabulary of monotony has become laced with tragedy, and we could well add decline, addiction, and others to the list to round out a simplistic modern view of the center of our country. Though these words are an indication of our own complacency, a conviction that “the heartland” can only be the setting for two kinds of stories: one of decay, the other an impossibly retro vision of small town life, pandered to by politicians and desired for the nostalgia it affords us. Trabold doesn’t exactly push against these assumptions, though she does situate herself as an objective viewer in this terrain. Her life has taken her away from Nebraska, rendering her a complicated stranger upon her return, and though she doesn’t play into the obvious tropes, there is still tragedy, both personal and of the land. One essay focuses on the destructive means of digging used to shape the housing developments where she has come of age. In another essay, a friend’s mother is found dead of suicide at her house in the country. Add to these stories a feeling, one that tinges all the pages of the book, that the author’s absence has alienated her from the Nebraska of her home and childhood. As Trabold writes in one essay: “To the prairie, we are always returning, as if from exile.” It’s this sensation that unites all the pieces in the book. Underneath the daringly staccato forms, one can recognize a familiar story: that of returning home to find it different from when you left. It’s fitting that many pages of the collection are devoted to chronicling the settling of the area surrounding the Platte River, as Trabold moves from paragraph to paragraph with a current that flows, meanders, seeking meaning through the arrangement of its segments. Trabold relies on implication-through-juxtaposition as an essential tool to create tension and release, and to join disparate narratives together. Though at times, I wondered if this tendency to imply rather than explain didn’t muddy the waters a bit. Particularly in the center essay, “Borrow Pits,” I found a promise of narrative gush reduced to a swirling eddy. I couldn’t figure out how the pieces worked together, or if they had a destination in mind. Contrast that piece with the brilliantly structured “A List of Concerns,” in which a return trip to Nebraska to reconnect with old friends serves as occasion for a handful of narrative streams to come together, tributaries to each other, with great propulsive effect. Trabold is at her most intimate in this piece, engaging most directly with feelings of betrayal, aware of the lens through which she sees her Nebraska people now, and grappling with it before landing the essay in a deeply unsettling place. These are the moments when Trabold is most compelling, when she fulfills the promise of mystery, destabilizing the reader in the process. In this tale with tight prose and twisting, highly juxtapositional storytelling, I too was jettisoned into unfamiliar territory, in an unrecognizable place, alone in the heartland, looking around, rediscovering. Cameron Shenassa is a writer and instructional designer from Chicago. His stories, essays, and interviews have appeared in Electric Literature, Hobart, PANK, and other places. He is a dual citizen of the US and Luxembourg.